Most people never experience much of the depth of the gospel. It is my contention that grasping it will change your life. I don’t believe you can overstate Paul’s deep desire to preach the gospel. 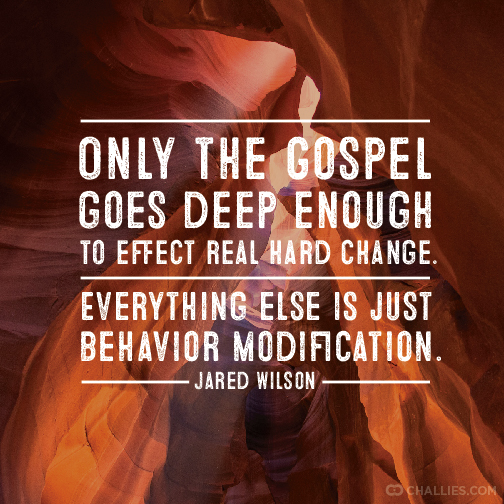 And not simply the “saving” gospel but the “living” gospel. The sanctifying gospel. I attest to the fact that when you grasp it, life becomes much more enjoyable…and simple. I can also attest to the personal desire to preach and teach the good news. And I share a deep satisfaction in discussing it while witnessing others “get it!” It’s exciting to share in their realization and joy. Paul makes it abundantly clear that the gospel’s power is awesome to change. This is the reason it is foundational to what we do here at DTLC. There is nothing quite like seeing someone “get it” with regard to the gospel. Paul understood this. Verses 8-15 of Romans 1 describe the reasoning behind Paul’s decision to write. It was not to correct, necessarily. It was not to attack false teaching, necessarily. The primary reason was Paul’s uncertainty of making it to Rome in person. The cornerstone of the grace system of salvation is justification by faith. What you may fail to realize is the depth of justification. In fact, you may fail to realize the correct definition of justification by faith. Herein lies the depth of the gospel as well.